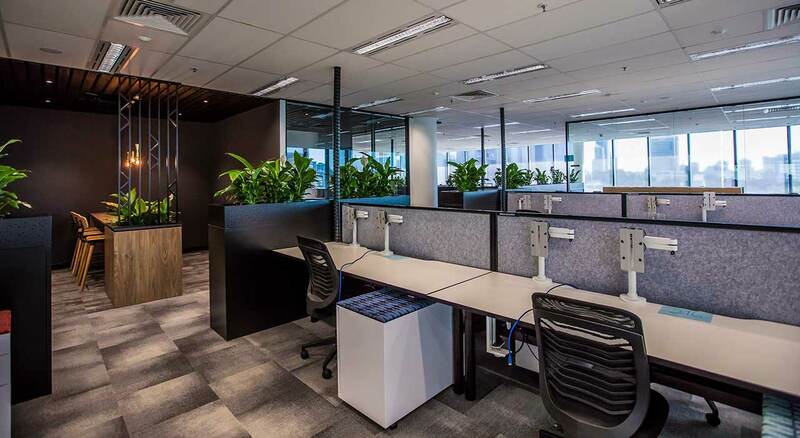 This bright and energetic fitout for Thiess, designed and built by Priority, features the latest design trends to create an activity-based workplace. 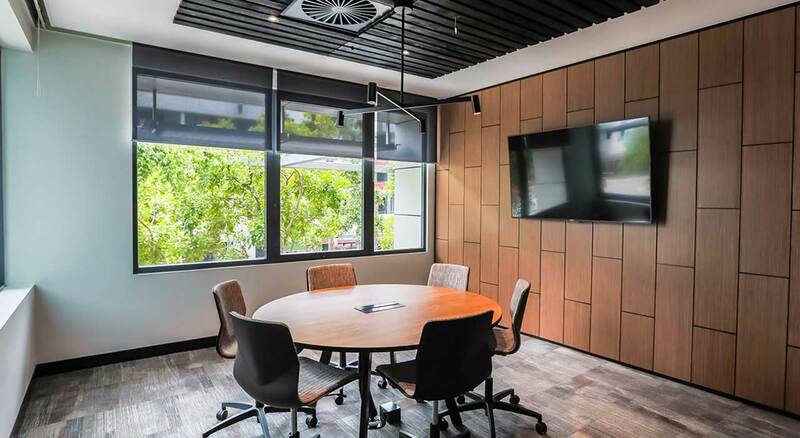 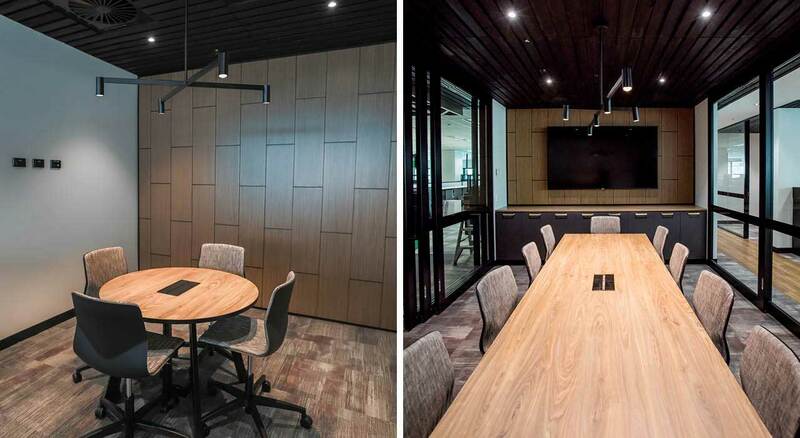 Moving from a traditional office layout to an open plan configuration, Priority created small open breakout areas as well as adjustable meeting rooms incorporating the use of sophisticated acoustic panels. 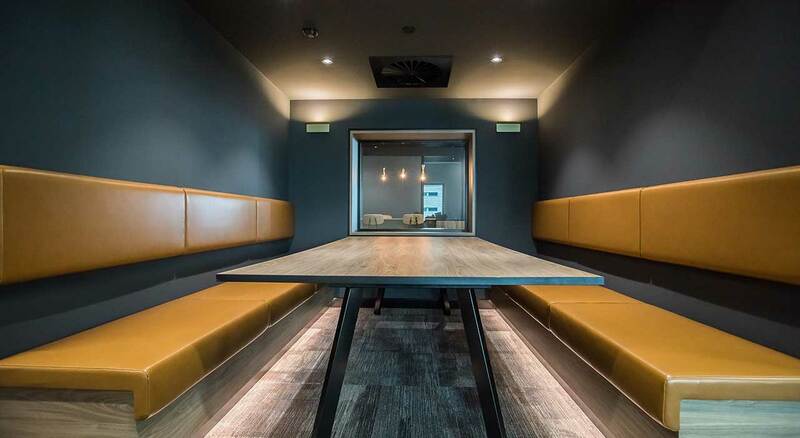 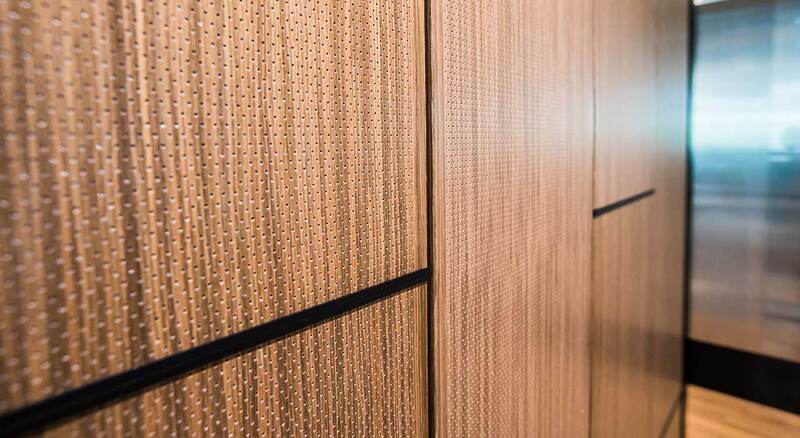 Product: Ecoustic Veneer Perforated Walnut acoustic panels with black anodised expressed joints, Ecoustic Solid Colour 12mm Oxide acoustic panels, Sleek Glossy upholstery vinyl.